Make a giant impression. 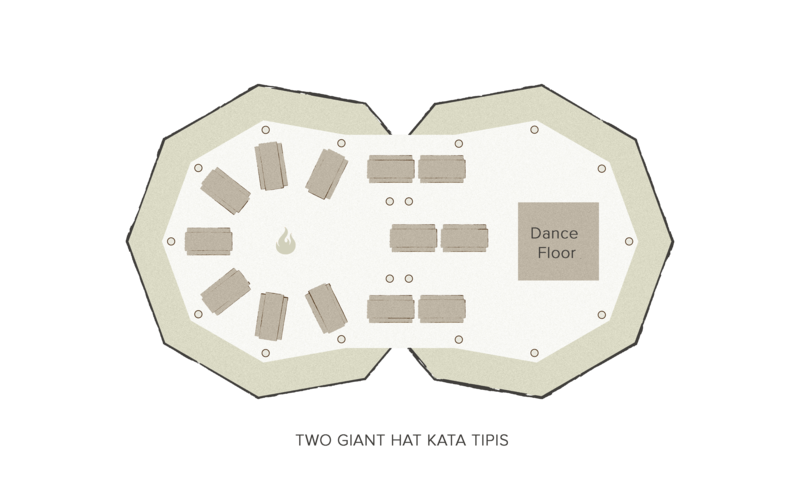 “Magical”, “awe inspiring” and “epic” are just a few of the reactions to our Giant Hat kata tipi by people who experience its wonder. 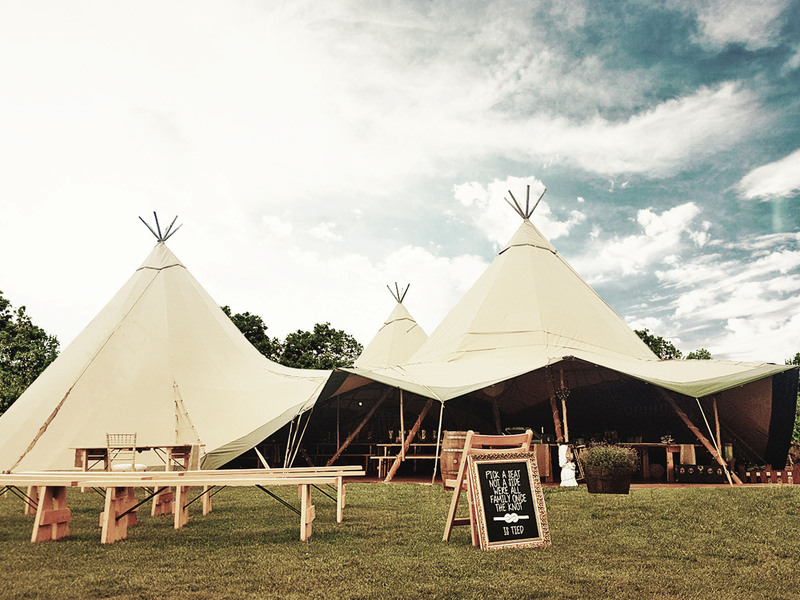 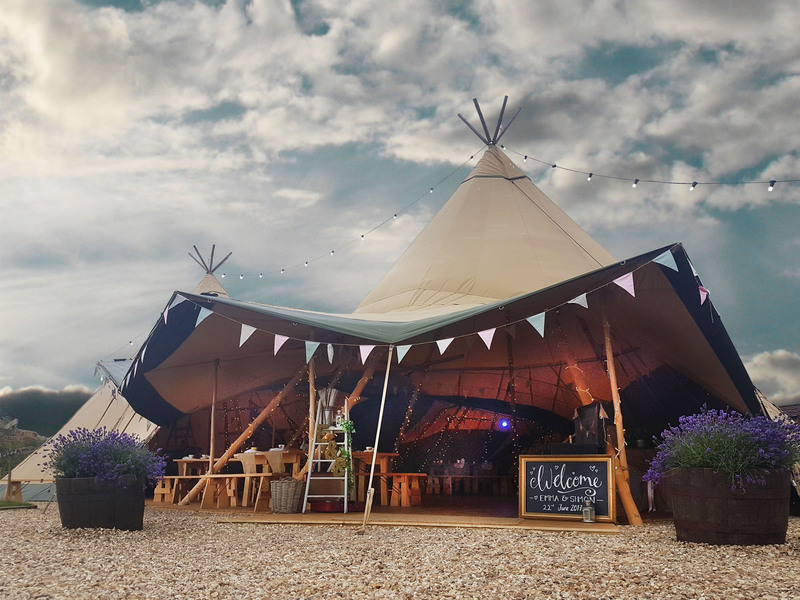 Although the tipi design is traditional, its sheer scale gives it the wow factor like no other event space. 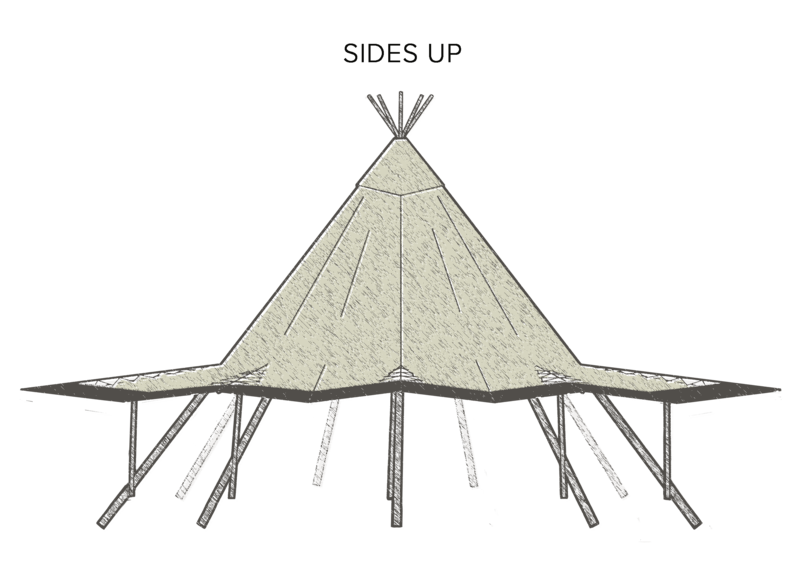 We have created a unique design which not only allows its sides to be raised, but it also allows as many tipis as you desire to be joined together. 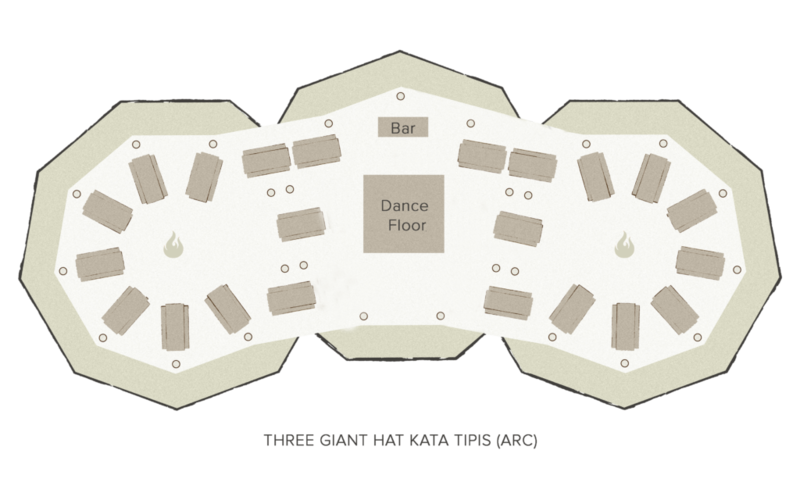 This means that no matter what scale your event is on, we have it covered. 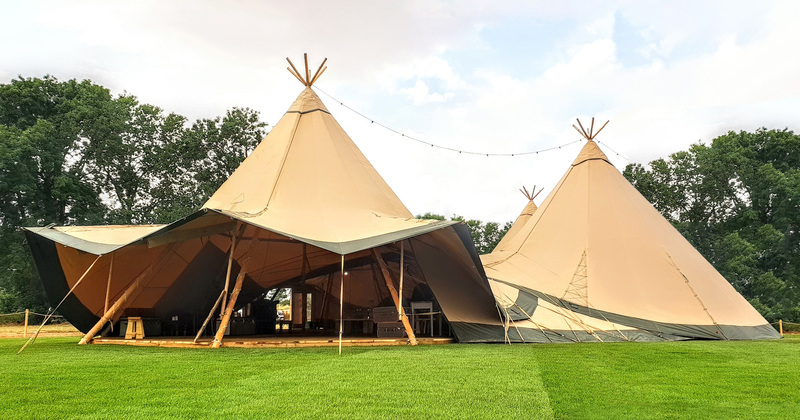 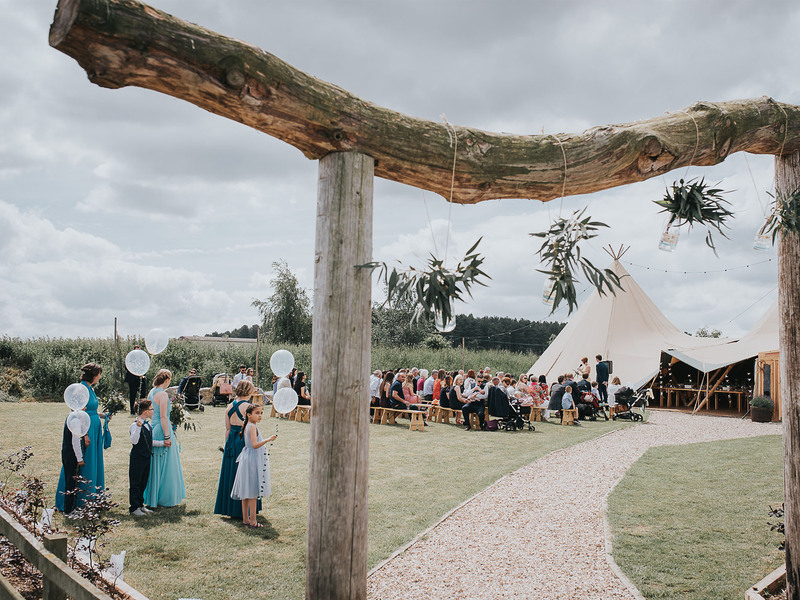 In the warm summer months, imagine raising the sides of your tipi and inviting the outside in, allowing you and your guests to embrace the natural landscape. 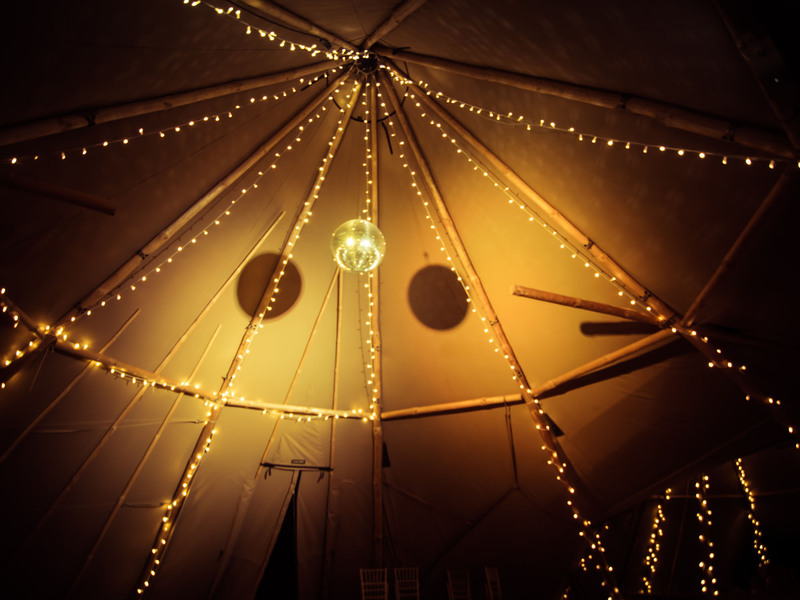 Alternatively, our tipis are perfect for a cosy winter event. 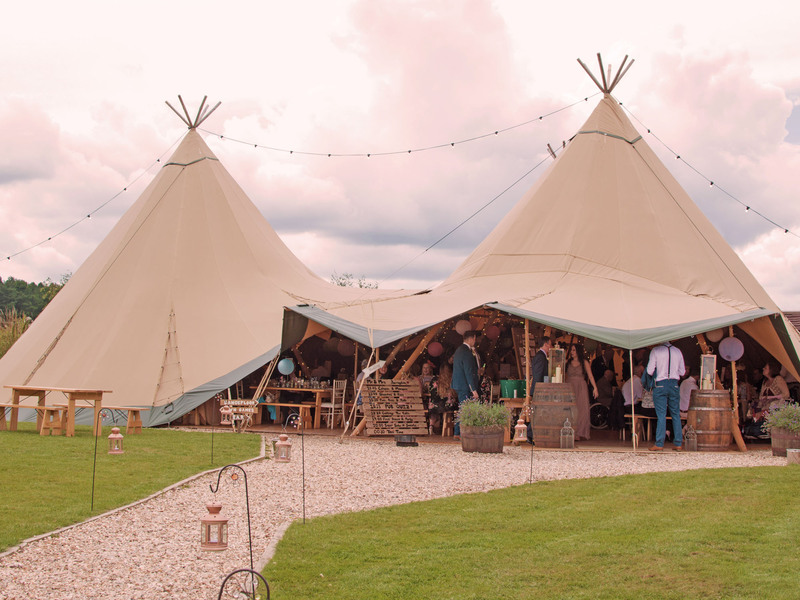 Close the sides, light a fire and curl up under snug and cosy blankets. 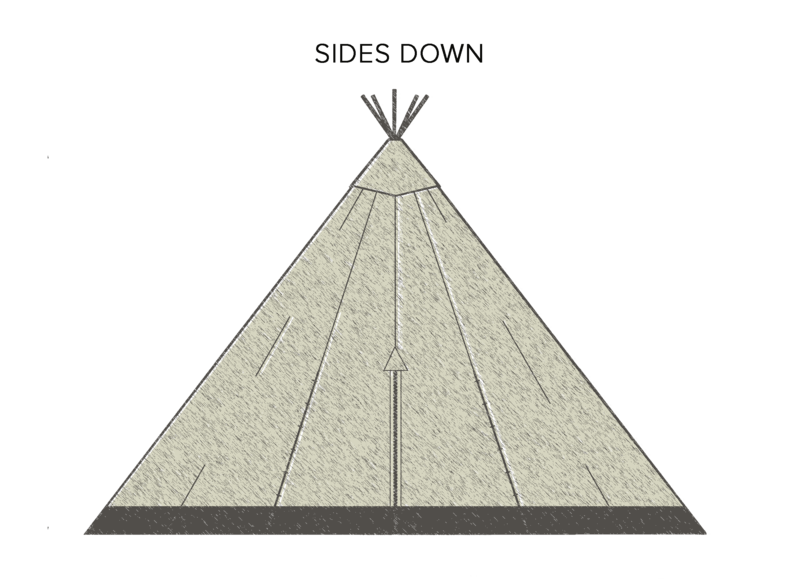 The wide expanse of the canvas used in the tipis, means that the atmosphere changes from day to night. 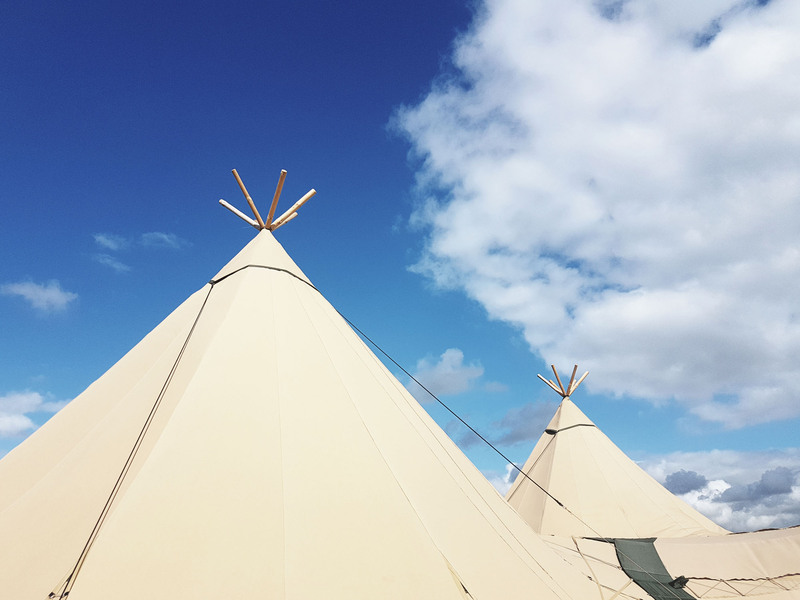 In the day the tipis are bright and spacious, allowing you to sit back and admire the wooden poles and warm sunlight reflecting through the sand coloured canvas. 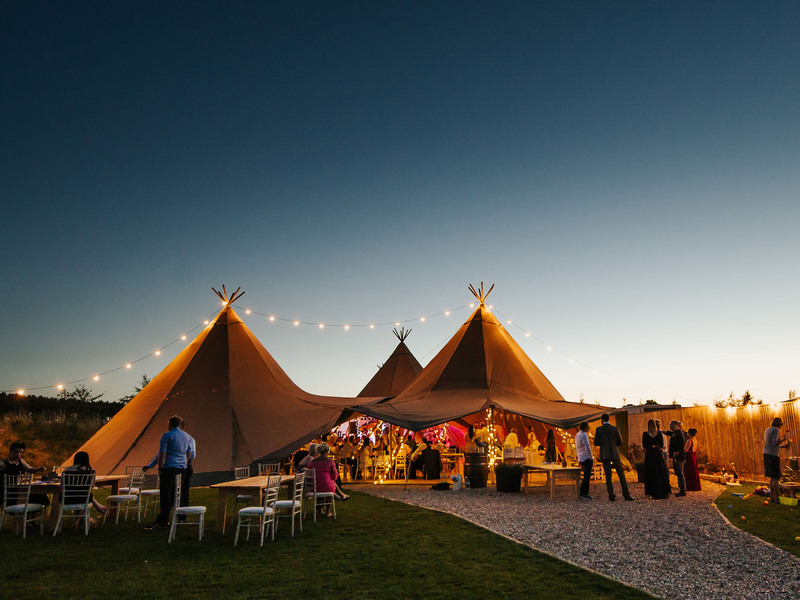 In the evening the tipis turn into stunning party spaces. 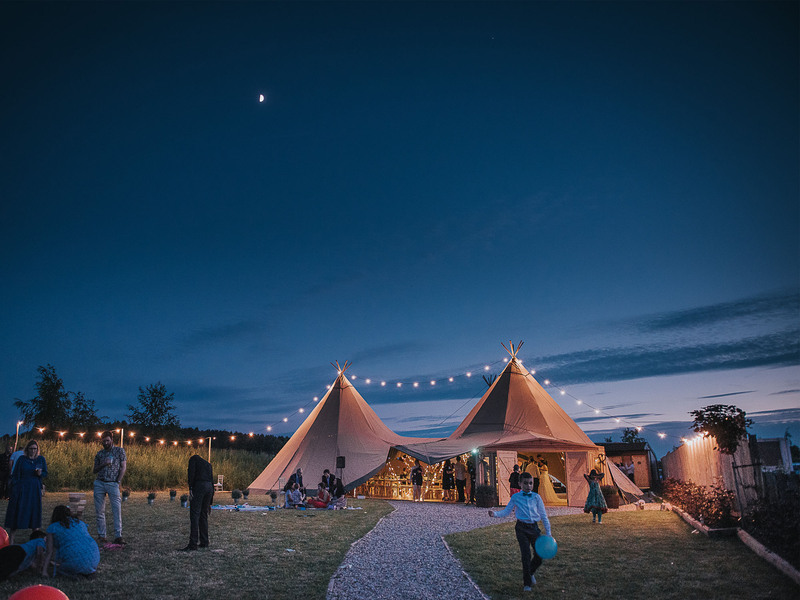 When dusk sets in, the space transforms into a more intimate setting. 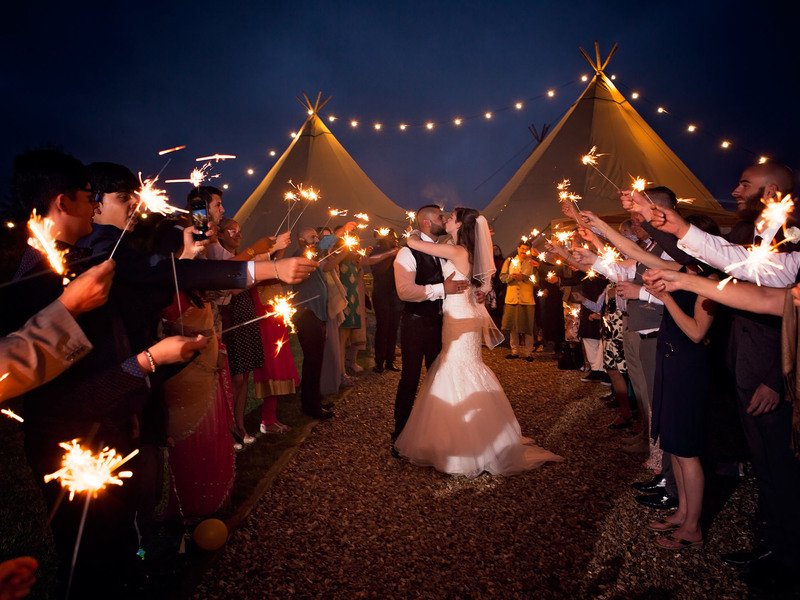 Under the glittering fairy lights and the warm glowing canvas, an unforgettable party can begin. 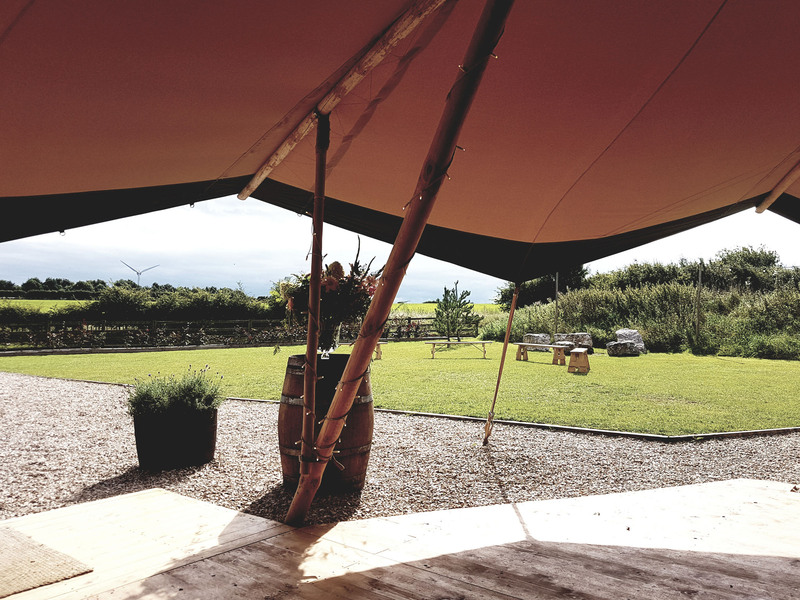 Combine all this with our specially created internal fire pits and the ambience is truly a wonder to behold. Add some awe. 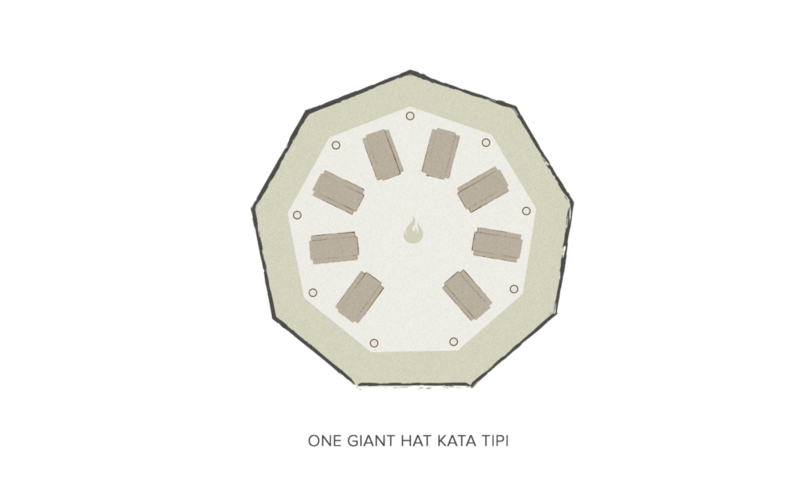 Add some magic. 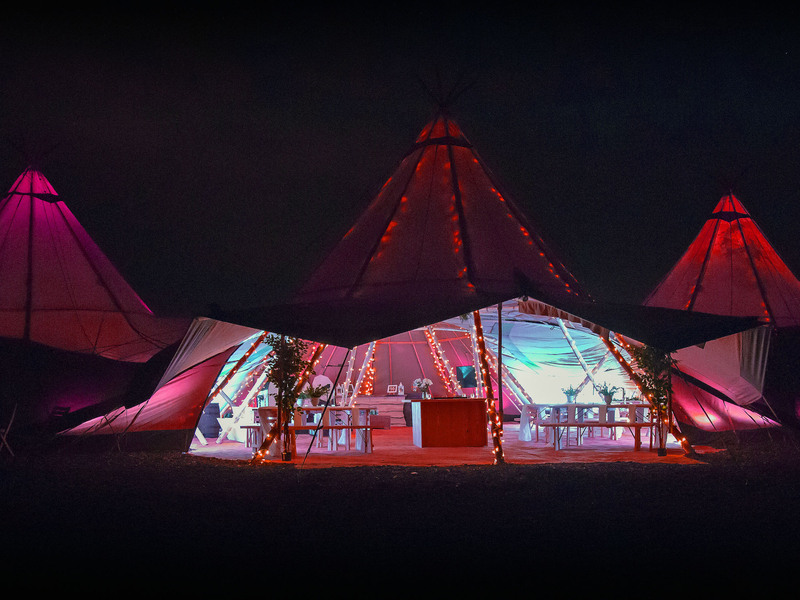 Go large for an immense experience like no other.